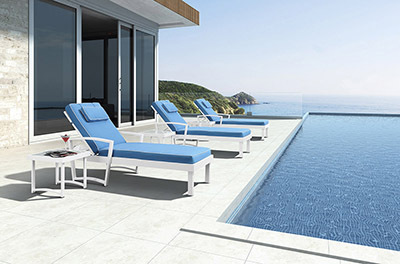 Product categories of Aluminium Garden Furniture, we are specialized manufacturers from China, Aluminium Garden Furniture, Lawn Aluminium Garden Furniture suppliers/factory, wholesale high-quality products of Outdoor Aluminium Garden Furniturel R & D and manufacturing, we have the perfect after-sales service and technical support. Look forward to your cooperation! 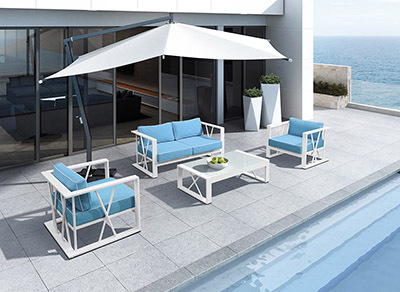 Outdoor aluminum furniture is suit for outdoor patio usage for a long time. The material is 1.2mm , 1.5mm or 2.0mm thickness aluminum frame with powder-coated. Secure and comfortable structure, simple design but elegance, is popular option for customer. Aluminum frame is welded and polished in meticulous style. Gently angled backs and wide arms encourage restful lounging. The industry`s best high-performing fabrics encase the thick, double-wrapped foam cushions. · Rust-resistant powder-coated aluminum frame. · Comfortable 30 density cushion foam. · Secure tempered glass for dining table and coffee table. · Waterproof fabric for cushions. 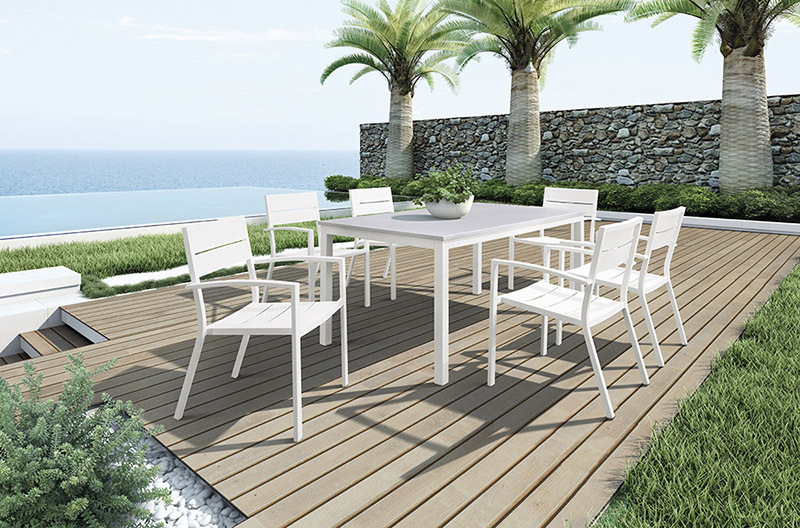 Outdoor aluminum furniture with high quality and long time guaranty. If you have any questions, please contact with us directly. 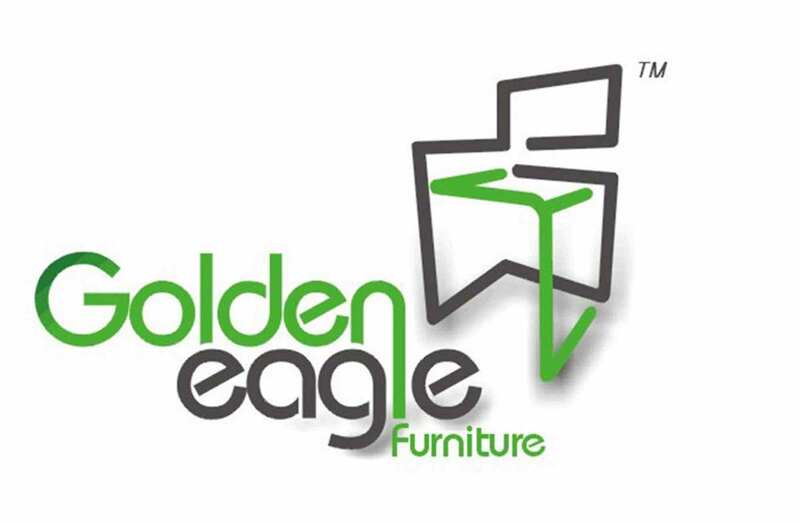 Outdoor Aluminum Furniture are produced by Golden Eagle Outdoor Furniture Co.,ltd with High Quality and Good Appearance. Welcome you to visit our Factory for any inquiry, please send mail directly to us.